Everybody needs a little love! 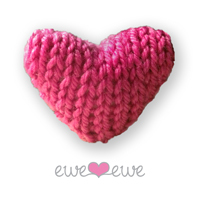 What better way to deliver a smile then with the Ewe Ewe Heart Heart free knitting pattern. 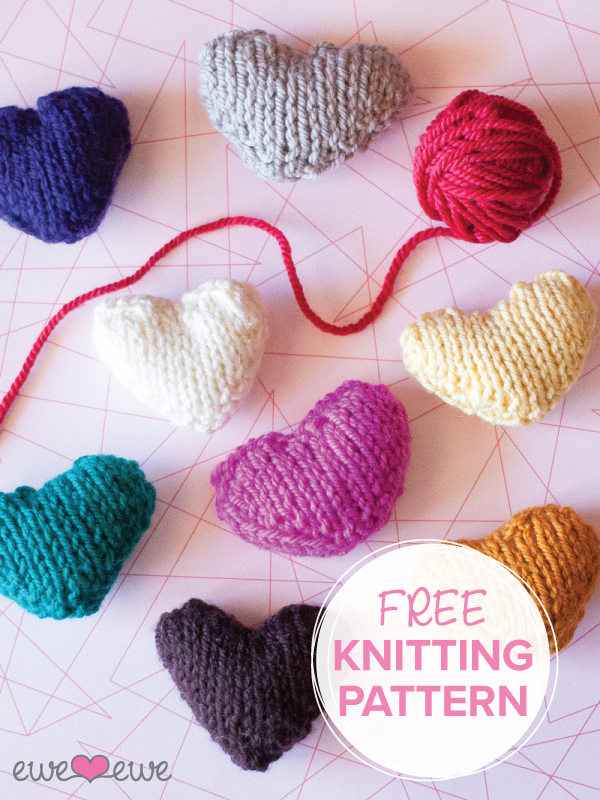 This little heart knits in two pieces and seams up quickly. Add a little stuffing for snuggly softness. Knit one or ten! Give these little hearts as gifts during Valentine’s Day or just keep a stash of them to give to someone who needs a hug. Make a garland and hang them across your mantle! Knit them in your favorite colors. Download this great pattern and get the yarn today! Finished Measurements: About 3” wide. You’ll need: About 12 yards of Wooly Worsted merino yarn, color of your choice. Pattern: Ewe Ewe Heart Heart – on Ewe Ewe Yarns. We have free knit and crochet patterns for hats, mitts, headbands, and so much more! Take a stroll through our free pattern page to find a project you’ll love.